As is usual at this time of year we have been inundated with requests to take in litters of kittens, and also pregnant queens who are about to give birth. The little bundles of fur are of course adorable, but each one will need to be found a home. If you want to offer a home to a kitten, please adopt from one of the many animal charities, rather than buy it from, what may be, an unreliable source. 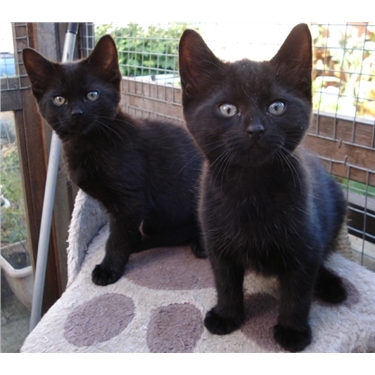 When you adopt from CP you will be sure that the kitten has been health checked, vaccinated, microchipped, treated for fleas and worms, socialised and where old enough, neutered. If not yet neutered when adopted a voucher will be given to cover the cost. We will always follow up to ensure neutering is carried out. The continuing message from CP is that neutering should be carried out at about four months. It is fundamental to helping control unwanted litters, reducing the risk of fighting and resulting infections, reducing the risk of disease and some cancers and limiting straying. Feline care: Kittens as they grow. An adopted kitten will usually be about four months old when you take it home. This is a brief guide to ensuring a happy and healthy first year. 4 Months: Continue socialisation by making sure the kitten meets lots of different people and becomes familiar with activities around the home. It is a good time to get used to grooming and handling. 5 months: Paw and eye co-ordination will be improving by this stage. Toys will continue to be a source of fun and enjoyment. If not yet neutered talk to your vet now. Baby teeth will start to be lost at this stage. 6 months: Your kitten may still be filling out, but growth will begin to slow down at this stage. Adult teeth will begin to appear. Although kittens may become less interested in play, given plenty of encouragement, most will still enjoy games and exploring! 8 months: Your kitten will be almost full grown and sexually mature. It may appear more independent, but will still need daily social interaction and playtime will continue to be important. Daily exercise sessions are essential to help keep your kitten active. 12 months: Your kitten will be officially an adult! The equivalent of about 16 in human years. To help keep your cat healthy and happy, continue to provide play and activities. During its first months a kitten must have plenty of sleep to help it grow and develop, so always allow lots of undisturbed rest. Feeding a diet specially designed for kittens is also recommended to ensure a balanced intake to help support your cat’s health, vitality and happiness. Event Dates: Come and see us at: Heveningham Hall Country Fair - 30 June/ 01 July 2018. 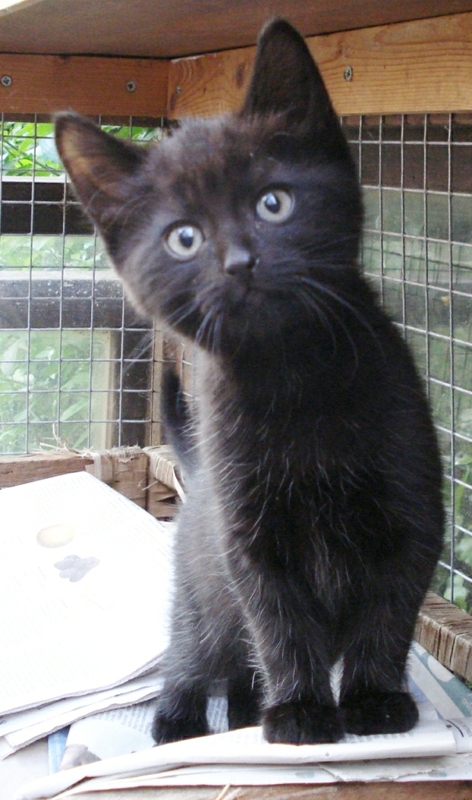 Looking for a home: This little lad is Ajax, one of the many kittens in our care looking for a home. Could you find room in your life for one (or more) of them? Call us now, to find out more: 01728 723499.